This local designer makes minimalist and fundamentally cozy capes. Winter in Bushwick brings a cornucopia of outerwear options from anoraks to parkas to capes. 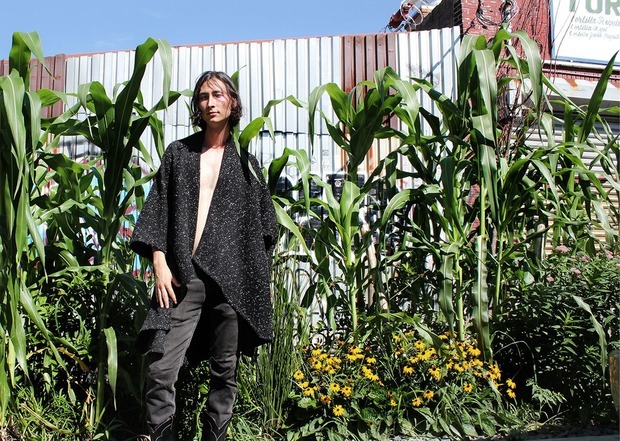 Kat Shuford, owner of Catbat Capes, works in a Bushwick studio to design versions of the latter for men and women with an emphasis on local and sustainable practices. Shuford works with one of the last fabric wholesalers in the city to buy deadstock material, the leftover bits of fabric which have never been used and don't always come in amounts large enough to constitute full orders. In essence, using deadstock keeps material costs down while creating an opportunity for limited runs for each style because once the fabric is sold, cut, and sewed, the chances of finding more fabric just like it are slim. Furthermore Shuford adds, "It also has an environmental component; we are finding a way to work beautiful fabric that would otherwise go to waste." Shuford chose capes because of their duality. "Getting dressed is a creative act," she says. "You can get dressed to challenge yourself, to surprise yourself, to make yourself laugh. Capes interest me because they are magical. They conceal but are hard to miss. They are elegant but exude a sense of power. They have a deep history." 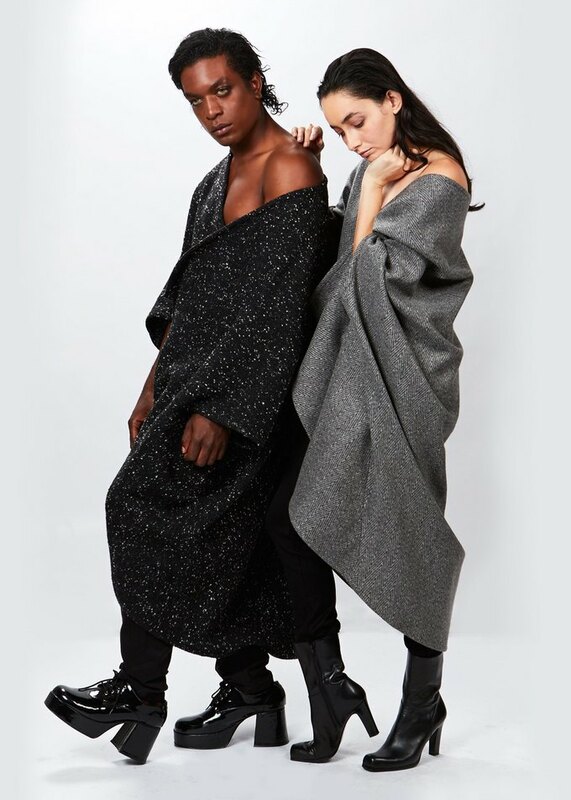 The Bien Cape (left) and the Cashmere Cape (right). Photo by Hunter Fletcher. Follow the company on Instagram to be the first to know about their holiday promotions. This time of year, we can all appreciate a good sale! Featured image: The Bien Cape on Starr Street. Photo by Eric Markfield.